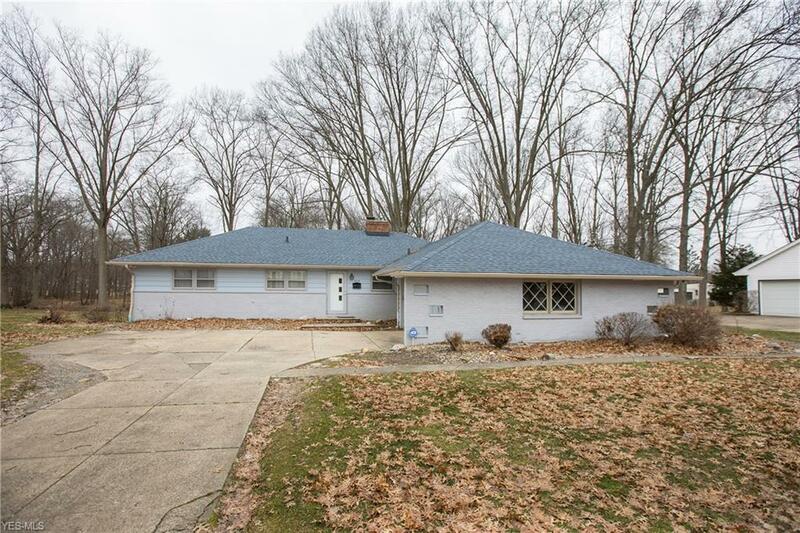 This mid-century brick ranch sits on a lovely wooded lot with a creekside view! Gleaming wood floors and lots of natural light give this comfortable ranch an open feel and the ease of one floor living! The very large great room with stone wall fireplace overlooks the yard and opens onto a wonderful private deck, perfect for relaxing or entertaining. There is a formal dining room off the open eat-in kitchen with bay window and access to the convenient two car attached garage. Three bedrooms, all with wood floors and two newer full baths complete the first floor. The lower level offers two huge finished rooms with fireplace: perfect for that man cave, playroom, office, or rec room(s). Convenient location, low maintenance, and easy one floor living combine to make this property a must see!